Throw your music right into the fray! Obtain direct and always up-to-date email contacts of Kiss FM radio show DJs and give your music unique recognition early on. This email list includes multiple worldwide editions of KissFM radio, as shown below. 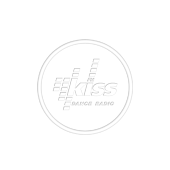 Here you can buy direct email contacts for radio show DJs – in this case for Kiss FM, but also for Proton Radio and many other international radio stations. Get 160 Kiss FM radio show DJ contacts, in a well-structured email list you can use straight away.